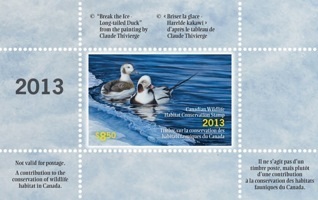 Canadian Wildlife Habitat Conservation Corner Block of Stamps. 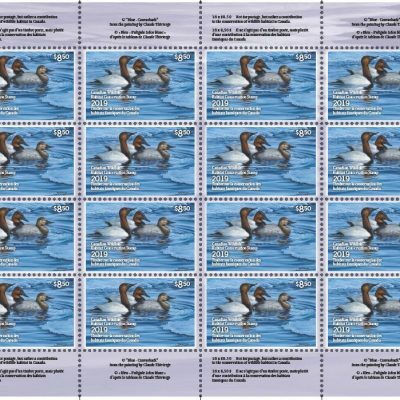 This 4-pane Stamp sheet is one of 4 corners of the 16-pane sheets (Lower Right, Lower Left, Upper Right, Upper Left). 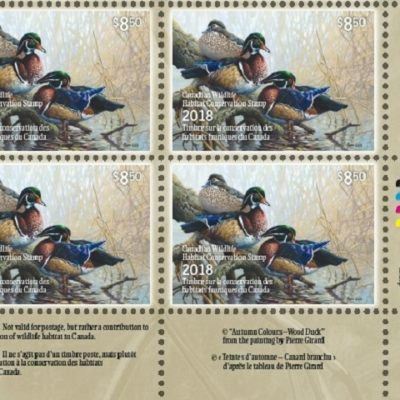 If you wish to purchase only stamps, please place your order through Rousseau Collections at 1-800-561-9977 or through their website. Canadian Wildlife Habitat Conservation Stamp is also known as the Canadian Duck Stamp. 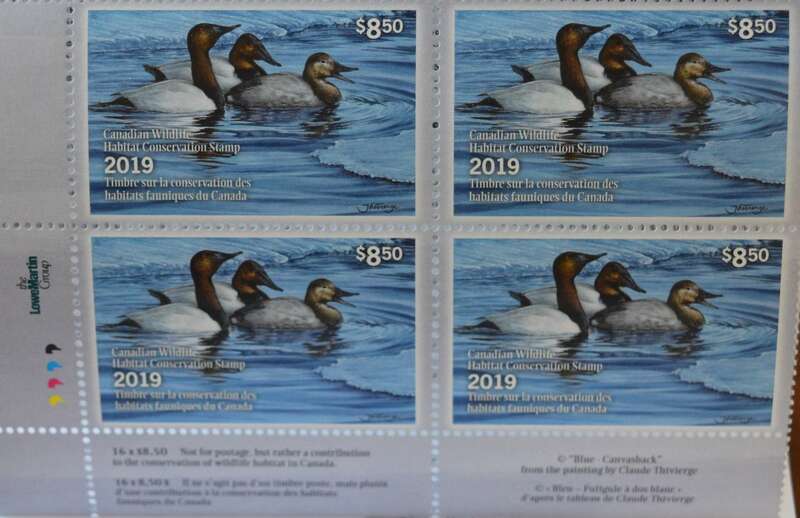 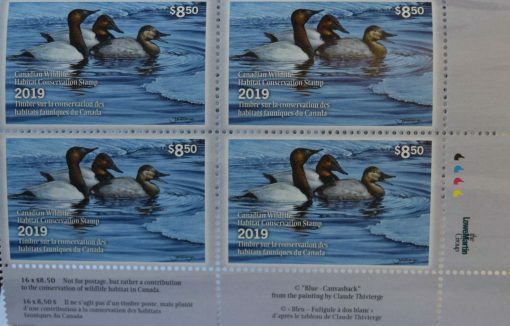 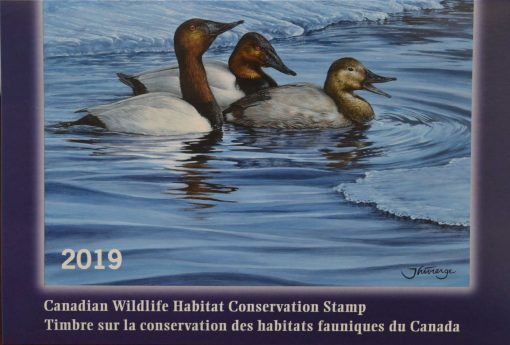 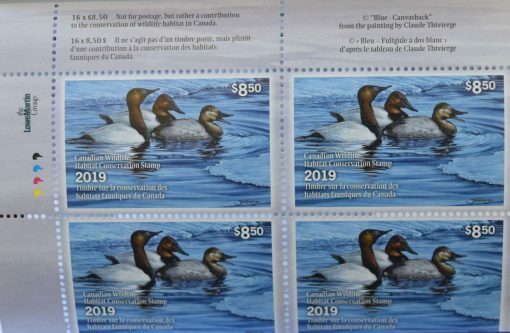 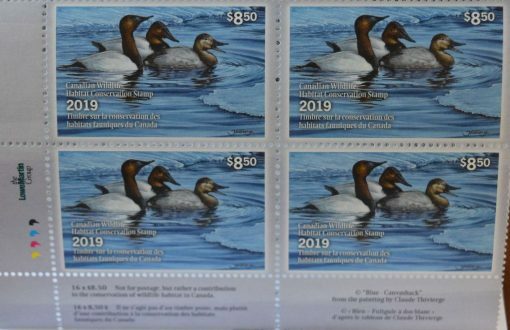 The 2019 Stamp features the painting image, “Blue – Canvasback” by Canadian wildlife artist, Claude Thivierge. 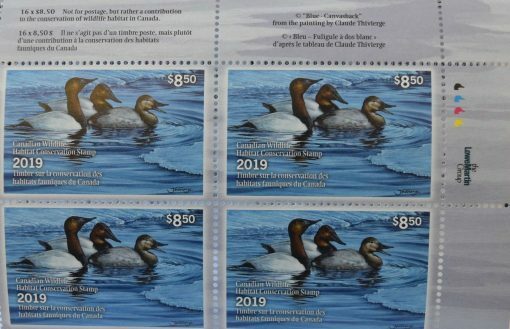 The Corner Block Stamp sheet comes in a souvenir booklet. 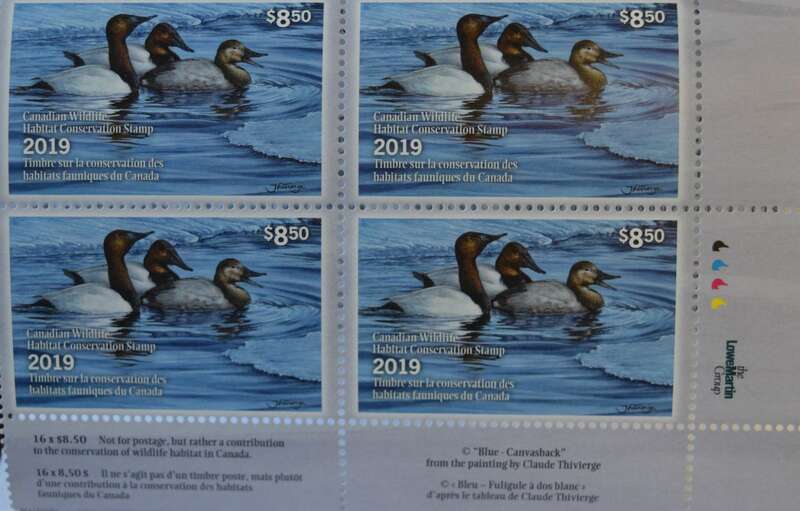 The Stamp and Print are a symbol of original Canadian art that serves to provide funds for conservation and draw attention to the importance of wildlife and their habitats. The image on the Stamp and Print is selected every year through an art competition.